For some, Nancy Pelosi isn’t aggressive enough in opposing the president. For others, she’s a skilled tactician who’s able to wrangle votes. House Minority Leader Nancy Pelosi addressing workers and Democrats in Dallas in 2017. With elections over and Democrats due to take over the U.S. House of Representatives, the main event in politics right now seems to be who’s the frontrunner in the race to lead the House, as an elaborate changing of the guard continues. 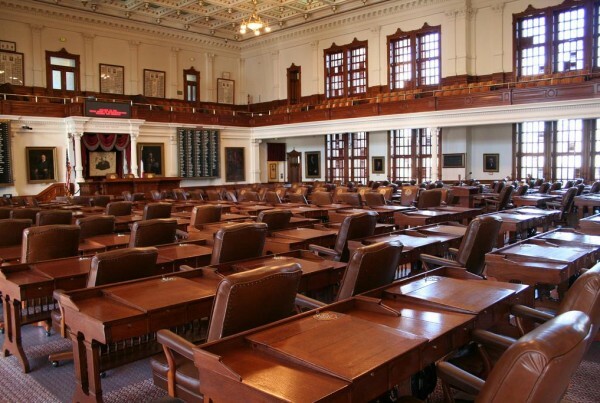 The House, including several chairmanships currently held by Texans, is set to change hands. And Nancy Pelosi, the former House speaker, and the Democratic leader for over 15 years, wants another round with the gavel. There’s one problem: it’s not clear how much support she has as Democrats try to figure out how to move the party forward, and how to build on the midterm momentum. And here’s where, despite losing a lot of top spots on committees, Texas’ congressional delegation could play an outsized role. Kevin Diaz has been covering the speaker’s race for the Houston Chronicle, and says the fight for the speakership is representative of a larger divide between centrist Democrats, progressives and new members, some of whom want to fast-track investigations of President Donald Trump. Diaz says many younger members of the party want a chance to move up. Rep. Filemón Vela of Brownsville, for example, has been a member of the House since 2013, and he has expressed a desire for his party to more actively oppose President Trump. “Filemón Vela is very outspoken as a critic of Donald Trump, and wants a much more aggressive resistance,” Diaz says. Pelosi does have support among the so-called Blue Dog Democrats who are more conservative, and include Texans like Henry Cuellar from Laredo.